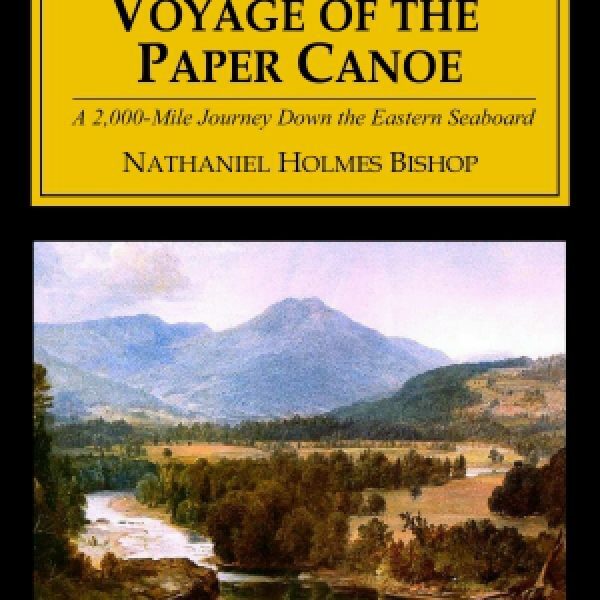 When he was 17, Nathaniel Bishop hiked 1,000 miles across South America. 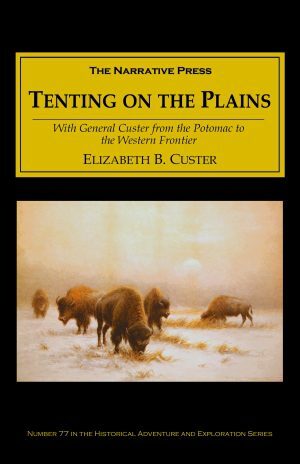 Later in life, he became interested in canoes. In 1874, he set off with a friend in an 18-foot wooden canoe, determined to find the most direct passage along natural and manmade waterways from the cold and rocky Gulf of St. Lawrence to the semitropical waters of the Gulf of Mexico. Everywhere along the route the peculiar character of the paper canoe attracted many remarks from the bystanders. The first impression given was that I had engaged in this rowing enterprise under the stimulus of a bet; and when the curious were informed that it was a voyage of study, the next question was “How much are you going to make out of it?” Upon learning that there was neither a bet nor money in it, a shade of disappointment and incredulity rested upon the features of the bystanders, and the canoeist was often rated as a “blockhead” for risking his life without being paid for it. Every instinct was now challenged, and every muscle brought into action, as I dodged tug-boats, steamers, yachts, and vessels, while running the thoroughfare along the crowded wharves between New York on one side and Jersey City on the other. I found the slips between the piers most excellent ports of refuge at times, when the ferry-boats, following each other in quick succession, made the river with its angry tide boil like a vortex. The task soon ended, and I left the Hudson at Castle Garden and entered the upper bay of New York harbor. As it was dark, I would gladly have gone ashore for the night, but a great city offers no inducement for a canoeist to land as a stranger at its wharves. …the inhospitable marshes became wide and desolate, warning me to secure a timely shelter for the night…the high reeds were divided by a little creek, into which I ran my canoe, for upon the muddy bank could be seen a deserted, doorless fish-cabin, into which I moved my blankets and provisions, after cutting with my pocket-knife an ample supply of dry reeds for a bed. Drift-wood, which a friendly tide had deposited around the shanty, furnished the material for my fire, which lighted up the dismal hovel most cheerfully. And thus I kept house in a comfortable manner till morning, being well satisfied with the progress I had made that day in traversing the shores of three states. 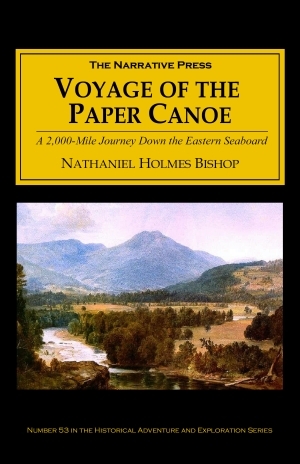 The Voyage of the Paper Canoe is full of geographical and historical information which provides a background to the adventure, including lore of the native peoples of the east coast. Bishop also gives detailed information about the exact process of paper boat-making, and there are many touching portraits of the human kindness he encountered along the way.